Use the cmruncl command to start the cluster when all cluster nodes are down. Particular command options can be used to start the cluster under specific circumstances. By default, cmruncl will do network validation, making sure the actual network setup matches the configured network setup. This is the recommended method. If you have recently checked the network and find the check takes a very long time, you can use the -w none option to bypass the validation. Use the -v (verbose) option to display the greatest number of messages. Use cmhaltcl to halt the entire cluster. This command causes all nodes in a configured cluster to halt their Serviceguard daemons. This halts all the cluster nodes. cmviewcl displays the current status information of a cluster in line output format. Use the cmrunnode command to join one or more nodes to an already running cluster. Any node you add must already be a part of the cluster configuration. The following example adds node umhpux9 to the cluster that was just started with only nodes ftsys9 and ftsys10. 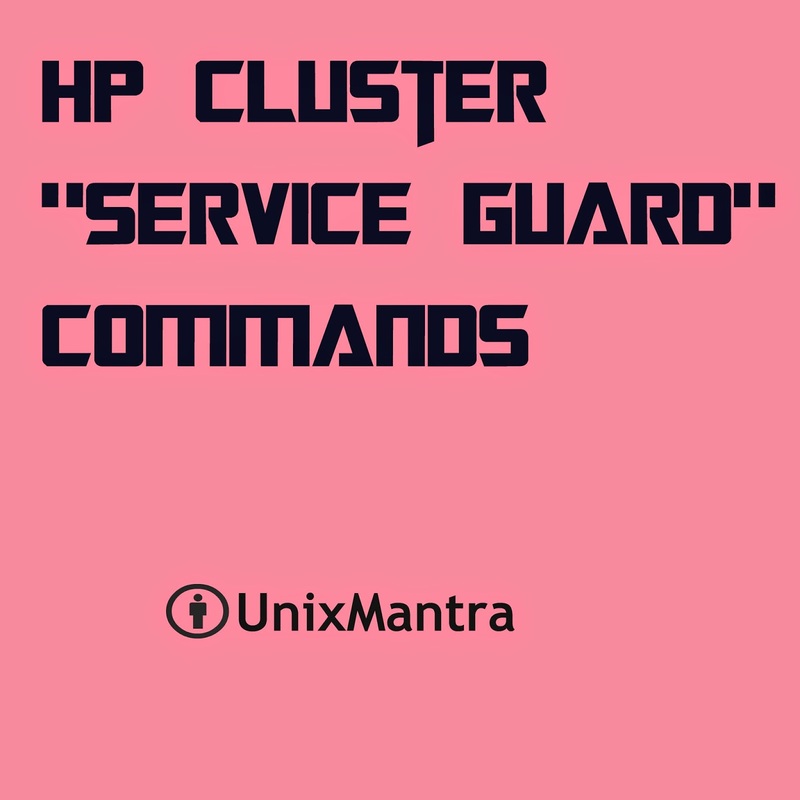 You can use Serviceguard Manager, or Serviceguard commands as shown below, to remove nodes from active participation in a cluster. This operation halts the cluster daemon, but it does not modify the cluster configuration.Halting a node is a convenient way of bringing it down for system maintenance while keeping its packages available on other nodes. After maintenance, the package can be returned to its primary node. you can use -c cluster_name for a specific Name of the cluster. This starts up the package on umhpux9, then enables package switching. This sequence is necessary when a package has previously been halted on some node, since halting the package disables switching. This halts pkg1, and, if pkg1 is a failover package, also disables it from switching to another node. You cannot halt a package unless all packages that depend on it are down. Before you move a failover package to a new node, it is a good idea to run cmviewcl -v -l package and look at dependencies. If the package has dependencies, be sure they can be met on the new node. To move the package, first halt it where it is running using the cmhaltpkg command. This action not only halts the package, but also disables package switching. After it halts, run the package on the new node using the cmrunpkg command, then re-enable switching as described under “Start a Package”. Whether the package can switch (fail over) or not. Whether the package can switch to a particular node or not. enable or disable switching attributes for a cluster . After a package has failed on one node, that node is disabled. This means the package will not be able to run on that node. The following command will enable the package to run on the specified node. This will command will disable the package to run on the specified node. I did not see anything for freezing the service group? Do HP have that feature? Linux Mantra, You have saved my day ! Thanks a lot for you valuable solution.